A mountainous country in Central Asia, Kyrgyzstan was ceded by China and formally incorporated into the Russian Empire in 1876. With the creation of the USSR, it became the Kirghiz Soviet Socialist Republic until the dissolution of the USSR in 1991. After the failed August coup in Moscow, Kyrgyzstan declared independence from the Soviet Union on August 31, 1991. Askar Akayev, a physicist, was elected President unopposed in October 1991. The U.S. formally recognized Kyrgyzstan, as well as the other former Soviet republics, with the dissolution of the USSR on December 26, 1991. The United States moved to set up embassies in all the new republics, especially in the “Stans” of Central Asia — Tajikistan, Turkmenistan, Uzbekistan, Kazakhstan, and Kyrgyzstan — in order to support the development of stability and democracy in the post-Soviet world. Thus, the call went out for Russian-speaking Foreign Service Officers who wanted the challenge of being at the forefront of U.S. diplomacy on a new frontier. Edmund McWilliams was Charge d’affaires briefly from its opening until the arrival of Edward Hurwitz, who was the first U.S. 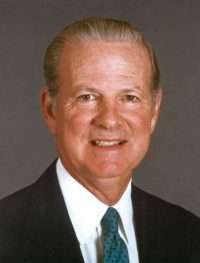 Ambassador to Kyrgyzstan, serving from September 1992 to 1994. Thomas R. Hutson was the Deputy Principal Officer at Embassy Bishkek for a few months in 1992 before leaving due to conflicts with Ambassador Hurwitz. All three were interviewed by Charles Stuart Kennedy, beginning December 2005, August 1996, and April 1999, respectively. Read Part II here and Ambassador Eileen Malloy’s account of skinny dipping with the First Lady of Kyrgyzstan. Go here to read about how the U.S. opened missions in Mongolia, Papua New Guinea, the Vatican, and Taiwan after normalization with Beijing. HURWITZ: Kyrgyzstan had always been a distant outpost of the Soviet Union. It was perhaps the most obedient of all Soviet republics. And it was one that had prospered because of the Soviet Union. Well, by the time I went to Leningrad and glasnost was in full bloom, you would hear this question raised at public meetings. Why are we spending money to give to these little black people to support them? 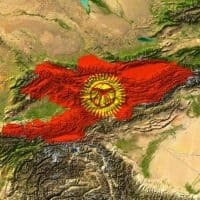 You could argue the issue both ways, I suppose, when it came to Kazakhstan or Uzbekistan with oil, gold and cotton, but in the case of Kyrgyzstan there was no question but that everything you saw, every institute, every library, every theater, every factory was there at the largesse of the Soviet Union. And they did incredible things to prop up this distant republic to make it look prosperous and give jobs to everybody. For example, they built in Kyrgyzstan one of the largest sugar refineries in the Soviet Union. A refinery that could only refine sugar cane, which came from Cuba. So, it was shipped from Cuba all the way across the Soviet Union. The refinery, by the way, was not equipped to refine sugar beets which can be grown around Kyrgyzstan. But it was done for jobs, you had to give them something to do. The Soviets liked it in one respect and found it very convenient because it was like Colorado with so many sunny days, it was a great place for flying instructors. It was a place where budding pilots being trained could train around 300 days a year. So, they had an air school there which trained not only a lot of Soviets but Afghans, Cubans, Ethiopians, etc. It has an enormous lake high up in the mountains. They used that to test torpedoes in submarines because this was a body of water totally landlocked, totally within Kyrgyzstan, a body of water into which they could be certain American submarines couldn’t come and monitor the tests. So, they tested the missiles and also had a torpedo factory. But other then that it had very little in the way of industry. It had some animal husbandry, but very primitive by world standards. It had gold, but in areas very difficult to extract it from. And that is about it. So, when the Soviet umbilical cord was cut, Kyrgyzstan was — and still is — in big trouble. MCWILLIAMS: [After the fall of the Soviet Union in the winter of 1991] the State Department started sending out bleats, messages saying anyone with Russian experience, Russian language skills or experience in the Soviet Union that would be interested, we’re looking to staff these new embassies that will be created in all of these new states as they began to be formed. I thought this a very exciting opportunity so I sent my name in, and initially was given Armenia but in kind of a scrum for posts out there, I was able to argue that I would be better suited to assignment into Central Asia given my experience in Afghanistan and Pakistan. We were basically all flown to Frankfurt from various parts of the world, those of us going in on the first tier and we had, I guess, two or three days of briefings at the U.S. consulate in Frankfurt. As I recall they were sending us to Belarus, Kyrgyzstan where I went, Armenia and can’t remember whether it was Ukraine or Georgia, the other one. In any event, with minimal instructions really, they sent us out and I recall as we met in Frankfurt there was an agreement which became sort of comical but we agreed, all of us, that we would open all of our embassies the same day so that there wouldn’t be one embassy opening ahead of the other. There were four or five officers going with me out to set up the embassy in Bishkek from a couple of agencies and I do recall only one thing, that we were told that we would be met in Bishkek by an advance officer from the embassy who had been sort of scouting out places where we could live and where we’d set up the embassy and so on. HUTSON: I ended up as deputy principal officer in Bishkek, Kyrgyzstan. Taking that job was the greatest career mistake I made in my life. It was a new embassy, but the Department was not willing to give me the title of Deputy Chief of Mission. We were housed in a very small place — a one-story bungalow really. It had a lot of partitions. We worked long hours — there was nothing else to do. I felt I was getting into a box that had been sealed for 70 years. It had popped open all of the sudden and the people inside began to peek over the edge – very hesitantly. They were so naive about the world; they were wonderfully fresh in their insights. As the Soviet Union was breaking up, the U.S. government decided that it was important to have some representation in all of the new republics that were becoming independent nations. So the Department sent people out everywhere. 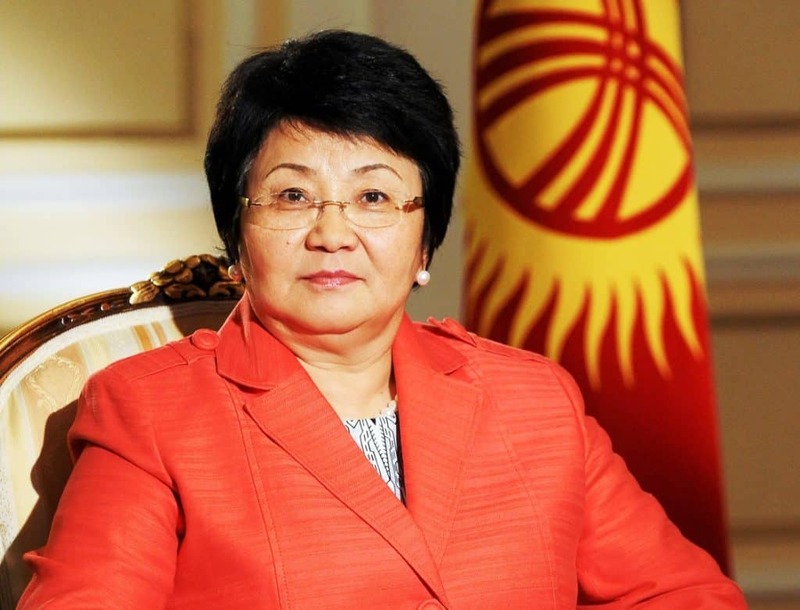 Kyrgyzstan was a place that would have been forgotten except for one person: their Foreign Minister, Rosa Otunbayeva. Rosa was a very competent person. She had been their ambassador in Washington first. So as soon as the U.S. government decided on its approach, lots and lots of NGOs decided that there would be money available for programs in the former republics, including Kyrgyzstan. The Foreign Minister encouraged the NGOs in their quests. She facilitated the initiation of their programs. She inspired them. We had people lined up at the door of the embassy, asking that we make appointments with the Foreign Minister. Of course, they knew nothing about the country; they had to be taught about how to get around. It was a great moment. HURWITZ: I actually went to Kyrgyzstan at the end of March 1992 as chargé, sort of an unusual situation. 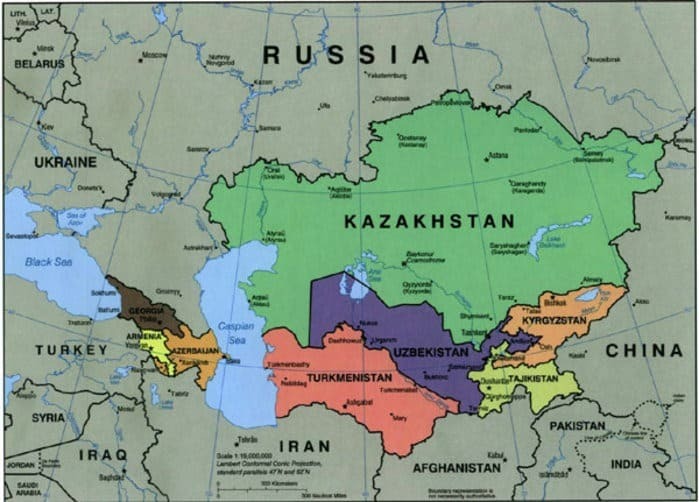 Kyrgyzstan government-wise, like all these countries, was in a state of transition, as was our policy. 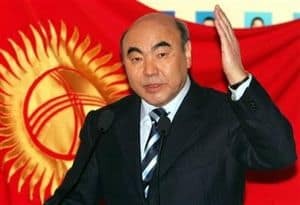 We had considerable hopes for Kyrgyzstan because it was one of, perhaps the only, newly created ex-Soviet state that did not have the old ex-Party official as the number one guy. The President was Askar Akayev, a scientist, a physicist, who, before assuming the presidency, was President of the Kyrgyz Academy of Sciences. We had some hopes that this would be a real new leaf and that you could have an actual democratic country arising from the ashes of the Soviet Union. It was clear from the beginning that they would have immense economic problems. That was one thing we could not deal with immediately. What we were hoping to get and what really evolved anyway was a situation in which you didn’t have a lot of turmoil. A big issue was how would the Russians react. Now that this thing officially exists will the Russians try to work out a situation in which the independence is more of a question of what is on paper? Then you had the issue of China. There is a 400-kilometer border with China, which is something else that concerned us. But the main issue was to try to get the Kyrgyz government, society, moving on a basically democratic, stable track. MCWILLIAMS: We arrived at night in Bishkek and were greeted very warmly by a small delegation from the government, this was like on a Thursday night, and informed at that point that they expected us to open the embassy the following morning, Friday morning. And I objected, in part because we hadn’t even seen the facility, literally we were at the airport when they informed us of this, and then secondly I was concerned that I had made this deal with my colleagues that I wasn’t going to open early, we were all supposed to open the next Monday. And as a consequence I objected and said just take us to our hotel, we’ll look at the facility tomorrow morning. And I was picked up by the government cars the next morning with senior officials who explained to me that it was President Akayev’s wish that we open the embassy no later than Saturday, the next day because the Iranian had been left hanging around the city for a couple of weeks and was desperate to open his embassy but President Akayev was determined that the first embassy would not be the Iranian embassy but the American embassy. So he said, “I just cannot wait any longer, you’ve got to open.” So anyway, we opened on Saturday. We inspected the facility on Friday and did some initial hiring as I recall, for staff, and the President appeared at the steps of our building, we had speeches and so on. And it was a very, very warm welcome and I was only there six weeks before I moved on to my next assignment but it was a very interesting period. I can remember it being desperately cold and we were all sick from the day we arrived. We were in this hotel, the wind literally blew through this place, we were freezing all the time we were there. But as we’d go out to dinner at night, always to restaurants because of course we had no facilities set up. Invariably when the little tribe of Americans, five or six of us would walk into a restaurant in the city, we’d just basically would be swamped by drinks brought to our table and food brought to the table and people coming over for pictures with us and so on, just an extremely warm welcome. The facility we set up was right on a fairly main street and no setback at all, I mean, the building was right on the sidewalk and I chose as my office as chargé one of the large, only two really decent size rooms in the building but it was right on the street. As I would be working at my desk, people would walk by and tap on the window and wave at me and I often thought subsequently what the security people would have thought of that arrangement. But we would have flowers brought to the embassy by individual citizens. People just were so anxious to make it known that Americans were welcome in Bishkek. It was just an extraordinarily cordial welcome, both from the officials and from people. A wonderful experience. [The embassy building was] modest — it was a dentist’s office, actually. And one of the interesting things was that it had no functioning loo, there was no toilet facility in there. And the facility that we were relying on was out back in a little shed and literally two holes in the ground. And there was one for the ladies and one for the men and that was the first three or four days before they did come in and eventually fix the toilets in the building but it was hard scrabble for awhile. But as I say, what was most memorable was the warmth of the people. I recall a fellow coming in, I think on the first Friday we were there and insisting that, and I think this was government help, that we all go off with him to the hills for a falcon hunt. And I always regretted I never took that opportunity, on horseback. Anyway, it was just a lovely experience. I had been very impressed with the young [State Department] fellow who had come in and basically did all the set-up for us, finding the building and so on. But I learned, I think on the second or third day, that he had prevailed upon our communications person to develop a separate channel of reporting that he would utilize to his embassy in Moscow, which I didn’t know about as chargé, and in fact messages had gone out reporting on the progress that we were making to his chiefs in Moscow — this is the State Department — without my knowledge. As a matter of fact, I think the reporting was going to the Political Section chief, which is also kind of discouraging….I didn’t want this embassy being run by or even having anybody on my team reporting. An early concern when we met in Frankfurt, we chiefs of mission, that we not simply become consulates for the embassy in Moscow…. And maybe I was being oversensitive but the fact that a couple of reports had gone out, even as official-informals [cables not sent front channel, much like e-mails today] or whatever they were that I didn’t know about bothered me a great deal. So I asked the fellow to leave. Q: Secretary of State Baker had made a big play that he wasn’t going to ask for extra money. MCWILLIAMS: As I recall what he felt he could do was to pull money from other places in State and I suspect that a lot of other embassies were shorted, a lot of other State functions were shorted because of that project. But no, I don’t think that we felt particularly put upon, either in Bishkek or subsequently in Dushanbe [Tajikistan] where I was by lack of support, physical support, because we recognized there were limits. I would say ultimately it was a master stroke on the part of the Bush I administration, and Baker specifically, given the State Department bureaucracy, to move so quickly to line up the kinds of people that would man these positions and get them established so, so quickly was I think a tribute to Baker and Bush I and it was really well done. HURWITZ: The working conditions were incredibly bad. We had as a building a structure that from every standpoint was inadequate whether talking about security or the ability to function. It was a small, one-story, old structure that had been at one time the Bishkek Komsomol [Communist Youth] headquarters, and at one time the city tax office, and I would occasionally get telephone calls concerning city taxes and had by my phone the number of the current tax office so I could direct people. Security was zilch. It was a fire trap. In my tenure there we did have an electrical fire. Anybody who wanted to toss a note, a rock or a bomb through the front window could have done so. It was a small structure. We had a very small staff, of course. People came and went, but we had about seven Americans when I was there. There were 10 or 12 locals, including drivers. We did expect to move fairly soon. 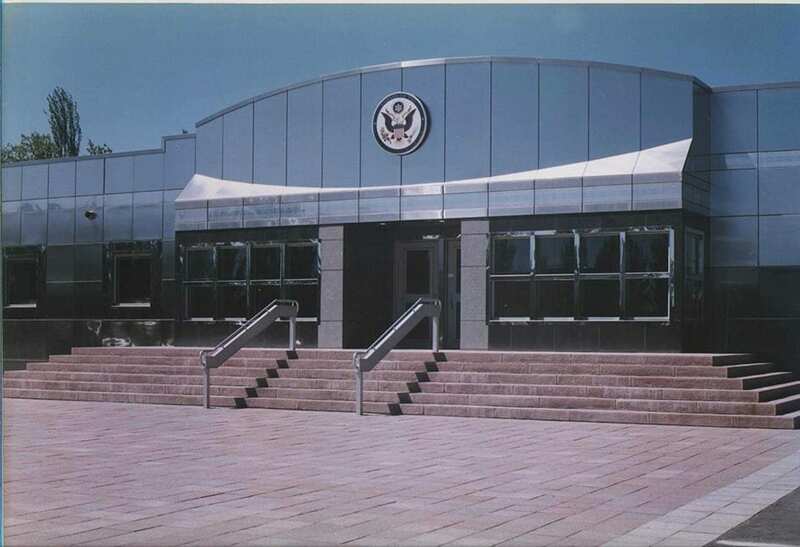 Unfortunately, the team that went in to choose the embassy building in January 1992, were shown a number of buildings which they turned down largely on security grounds. They were justified in doing so, but what they ended up with was far worse. The State Department at that time had just begun that project of bringing in already made embassies. They would just ship them in and put them together. Now, the transportation difficulties getting to Kyrgyzstan really compounded that problem. But, it was considered the only way to go because all the standing structures in Bishkek were either solid but very old and totally inadequate and probably full of asbestos and every other hazard you can think of, or they were not adequately y defensible, or both. So, in the long run to renovate anything you might find would cost as much as bringing in something that we would know from scratch was secure, adequate and clean. The housing was also very difficult. Bishkek was surprisingly well off when it came to housing compared to the Soviet norm. On the other hand, by our standards, the housing was woefully inadequate. I must have seen 15 or 20 buildings as possible residences and I settled on none of them. I lived for four months in a hotel room, me and about ten thousand cockroaches, and then moved into an apartment that I had looked at and said, “Take it” but for use by a staff member. Well, the staff member, who moved in immediately, was my first DCM, who later left because his child developed medical problems there. When he vacated it, I moved in. I think the current ambassador is still living in that place, although they have added what was a separate additional apartment, putting the two together. It is curious, but I would say staff morale was high. You are working cheek by jowl here, it is not that you are not aware of problems, although very often the ambassador is less aware of problems that people might have. But I was working side by side and talked to everybody every day. You had that sort of hyperactivity. You know, morale was good and you had a lot to do, a lot of challenges, and it is all new and interesting. I think that was the case. In fact, when talking about this to personnel people in the Department, they made the point, and I think it is probably a valid one, they were less worried about the first wave of embassy officers and staff in all these new embassies that were undergoing more or less the same problems — some had it worse than others and we had it as bad as anybody — but they were more concerned about the second wave when things were settled and when everyday didn’t present a new, possibly frustrating, but exciting adventure. And, I think for that first wave, which I was in and all our staff was in, that there was this feeling of excitement. And the people they sent out, which in some respects was bad, were young, a couple of first-tour officers. This hurt in terms of experience, but added something in terms of morale.